Why Our World Would End If Cyber Security Disappeared? What would be the job of a key if there wouldn’t be a lock and what would be the role of a lock if there wouldn’t be a key? Useless, right? Where there is a crime, there is precaution and protection. Cyber Security’s existence in this world is because of cyber crime. The more cyber crime tries to become a part of our lives, the more we try to adopt cyber security. We love to be social, but that social life will not take much time to make our world upside down. Our world moves around the internet, be it for interaction, for some transaction or for keeping some information private. However, nothing is safe, our privacy, our bank details, our money, NOTHING. It might leave you in shock, but the world would come to an end if cyber security disappeared. Let’s go on to understand more about the issue, and it will answer all your WHAT, HOW AND WHY? Cyber security, also known as IT security refers to a technique of protecting networks, computers, programs, and data from any activity aimed at exploitation, or unauthorized access. It helps to protect information from being stolen, requiring an understanding of potential threats, like viruses or other malicious code. Already met the hero? Now let me introduce you to the antihero. Cybercrime is the same harmful attack for which cyber security has been introduced. Cybercrime can cause up to $500 billion of loss in a year. A report based on facts and analysis says Cyber Crime Costs Projected To Reach $2 Trillion by 2019. From 2013 to 2015 the cyber crime costs quadrupled, and there is another quadrupling taking place from 2015 expected to 2019. These cyber attacks cause huge damage to the companies, governments, and individuals. Talking about the recent wanna cry attack the ransomware recorded itself on approximately 300,000 computers and other digital software in over 150 countries. The Wanna Cry ransomware attack was one of the largest ever cyber attacks. Among many countries, Russia was the worst affected, and India was also one of them. The computers were infected, and all the data stored on the hard drives were encrypted. Wanna Cry demanded payment ranging between $300 to $600 instead of decrypting the data. Here’s a short video explaining the exact locations where wanna crypt resided. Not just this, The shadow brokers, CloudFlare are some of the famous disruptive ransomware affecting the world in past few years. Cybercrime is a huge topic of issue, not only because of the increasing number of cyber security attacks but because the destructiveness of these attacks is just progressing. Cybercrime is as harmful to the government as it is to the corporates and individuals. In May 2017, the US President, Donald Trump signed a governing order with the focus on advancing cyber security in the US–particularly for the country’s infrastructure and federal IT networks. Cyber-Theft: This means using communication systems to steal information in electronic format. Eg: hackers acquire (steal) the system information of banks and transfer money into their bank accounts. With this, a high amount of money can be embezzled causing trouble. Credit card fraud is another common problem. Cyber theft is the easiest way to execute, and of course, the most reported of all cyber crimes. However, sometimes most of the companies and banks do not reveal about they being a victim because of the fear of losing clients. Hacking: There’s a huge penalty you have to pay for crimes like hacking. Fine up to $20,000 or 20 years in prison or may be both, depending on the level of destruction took place. Today hacking is considered to be the major cyber crime. Taking advantage of the loopholes in operating systems hackers destroys significant data and steal critical information from victim’s machine. Hackers also control what you do on your computer and can import files on your system. Several applications can be installed on your system without your knowledge. These programs could also be utilized for stealing personal information like important account passwords and credit card/debit card information. A company’s critical data can also be hacked to acquire some secret information about a company’s plans and statements. Viruses and worms: We all know what viruses are? We have also installed different kinds of anti virus to prevent them. These viruses and worms are the major threat to individuals and small companies as they spread from one computer to another within seconds. Then comes a worm which exploits weaknesses in an operating system. Chernobyl and Melissa viruses are few recent examples which troubled many lives. Back in January 2004, The My doom worm affected approximately a quarter-million computers in one single day. It is recognized as the most expensive virus in the world and the history of cyber security, having caused an estimated financial damage of $38.5 billion! It became the fastest-spreading e-mail worm ever, exceeding all previous records. The virus’s origins are believed to be in Russia, but its author was never discovered. When Melissa virus arrived in March 1999, it’s power of disruption forced Microsoft to completely turn off their e-mail systems until the virus could be held. Melissa appeared in an email, with the subject line “Important Message From….” (Sounded genuine and forced the users to click). Since now we know how these cyber villains can attack us anytime anywhere, we should learn about how cyber security can save us from these threats. Why Is Cyber Security Essential for the Modern Day Society? Despite lots of government efforts and specialized inputs, cyber-crime is not ready to slow down. With constant technical innovation, new dangers are continually coming to the surface. Cyber security is all about building confidence and safety for the IT world. can be compromised in seconds. There are thousands of infected web pages. New ways of cyber attack are introduced continuously. These are few examples that highlight the significance of information security as the most necessary approach of protecting data and systems. Since cyber risk is now stubbornly at the top of the international agenda as the biggest fear that hack attacks and other could endanger the global economy, it costs the loss of over US$400 billion per year. Cyber security is one of the most significant issues. 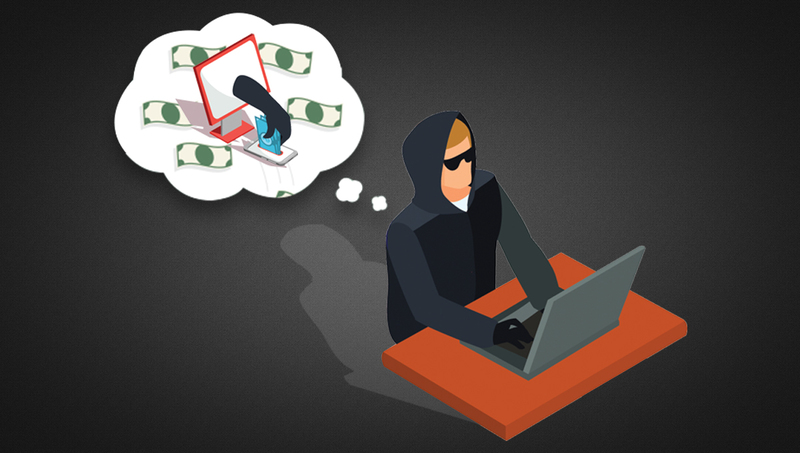 Criminals have always targeted computer networks to spread damage, but there are reasonable precautions that companies should take to minimize losses from those who seek to harm. The increasing predominance of cyber security attacks on government, individuals and organizations emphasize on IT security professionals. To protect individuals from these threats in today’s world cyber security specialist jobs are in high demand. These jobs are also well compensated. Average annual salary for an IT security analyst is $88,890, and such heroic jobs are expected to grow i.e. 37% average increase between 2012 and 2022, faster than the average. Cyber attack is somehow similar to public health. Like, if we talk about flu, people who are already infected are more likely to infect others. Moreover, the same goes for cyber security. It is clear that infected devices will have a way of spoiling other devices. Therefore, cyber securing is not just about protecting you; it is about protecting all of us. Social media is the easiest way to get attacked by these hackers so even poor social networking and email security can be infectious. If all your online accounts are unsafe, it makes it simple for others to use your accounts and spread social engineering attacks intended to steal data or money. Therefore, cyber security is not only essential for us; it is for everyone around us. You Can Be the Hero. How can you protect yourself from cyber attacks? • Confidentiality: Information which is delicate or private must be shared only with the relevant users. • Sincerity: Information must preserve its integrity and should not be modified from its original state. • Availability: Information must be available to those who need it. •Do not share private data over the phone or through email unless you are completely sure of whom you are giving it to. Every cyber criminal act smart by contacting the representative of a particular agency. They may even control some of your secret information; which they will share with you to seem authentic. Responding them is not the right way, you should call and enquire more about them and contact the agency they claim to be a part of. • We all have the anti virus in our systems. We should keep all these browsers, and antivirus software updated. • Pick a password that is tough to crack. The most common passwords, like or “123456,” are easily stolen. So, create strong passwords without sharing it with anyone and also never use the same password for more than one account. • The safest practice to go to a link is to go to the company’s website and log on directly and not clicking on the links sent via e-mail. • If you cannot protect everything, protect what is important. Let’s focus on the growth rate of cyber crimes: Cyber criminals are becoming more industrialized and more organized. PwC’s study states, the number of security incidents across all industries grew by 38% in 2016. That is the biggest increase in the 12 years since the global study was first published. The intellectual property, which we assume to be the safest leads the list of highly targeting cyber crimes recording a 183% increase in thefts. Today, the companies are becoming increasingly alert to cyber threats only with the support of cyber securities. 31% of organizations that suffered successful cyber attacks in 2016 are making changes to their protection in 2017. 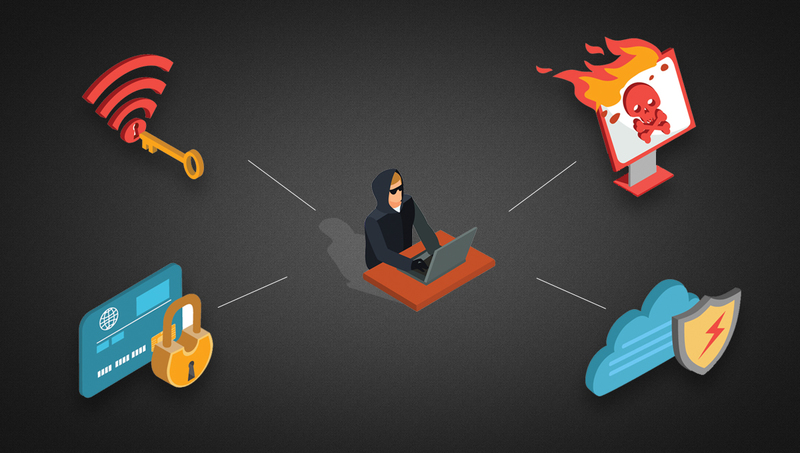 Malware is growing at high speed neglecting the antivirus and other means of protection, which makes it hard for the Information technology teams and many companies to keep up the level of security maintained. Few things in the world grow faster than technology, and this is how these cyber attacks are moving at a great speed. If all the companies, the government, and the individual, will not adopt cyber security these continued cyber attacks could lead to a huge financial as well as privacy loss. As the modern society has become more dependent on the computers and other internet connected devices, the online world is in need of cyber security. The cyber security is no longer only in the hands of IT departments and security groups. Rather it has become one of the primary concern of the government. A cyber attack cannot collapse the world, but it can set the world to an end, it can upend geopolitical stability. It has the power to damage national associations, and weaken the strong democracies on Earth. It can indeed undermine the idea of truth. Other than the nuclear weapons, hacking has also now become the most destabilizing tool in geopolitics. These cyber attacks have set a threat to the world by various means. Moreover, with this anti hero in power the hero, cyber security is the only one to defeat it. As the famous saying goes, “If we cannot stop something, we should just protect ourselves,” so security assurance has to be the major goal to fight against these cyber crimes. Yes, The world would end if cyber securities disappeared. Currently, we face $400 million – $500 million of loss per year, Multiple attacks to steal governments private information on the public welfare, theft of corporate information which can stop the functioning of a company, no profits, theft of individuals bank accounts. If cyber security ever disappeared, our lives would stop working efficiently; the world will come to an end. Why Our World Would End If Cyber Securities Disappeared? We love to be social, but with the current frequency of cyber attacks, this social life will not take much time to make our world upside down. Let's have a look at how the world would end without cyber security.